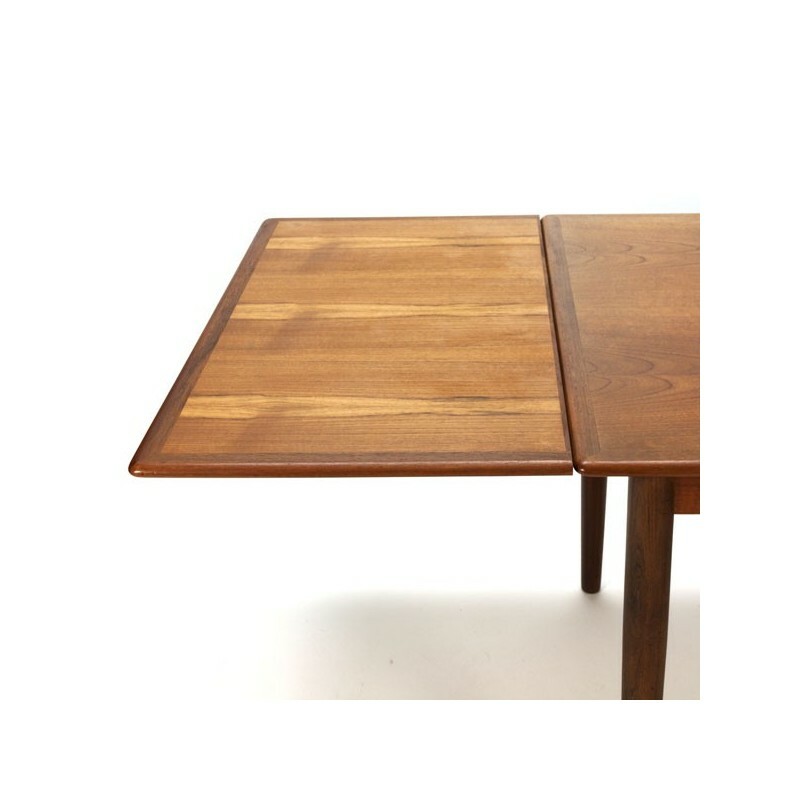 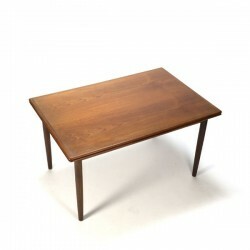 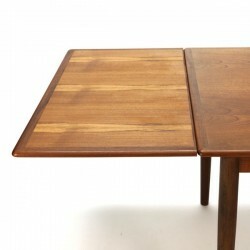 Vintage dining table, Danish design, executed in teak with extandable sheets, which the table increase up to 231,5 cm. The table has a nice wood drawing in the sheet and is in good condition considering its age (some slight traces of use, small circle and scratch). 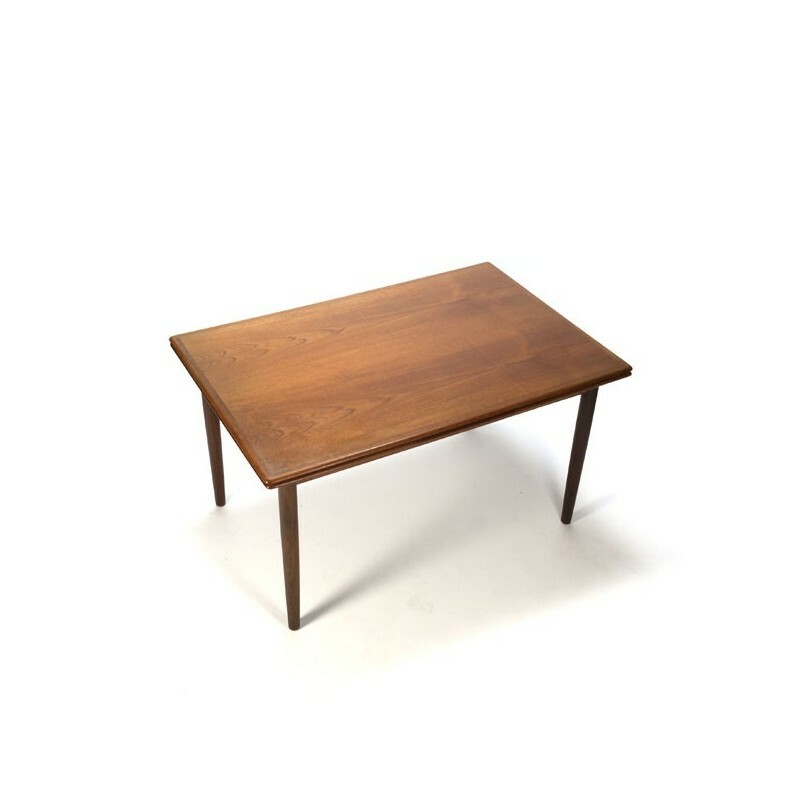 The size is 133,5 to 231,5 cm L (2 x 49 cm) / 88,5 cm W / 73,5 cm H.